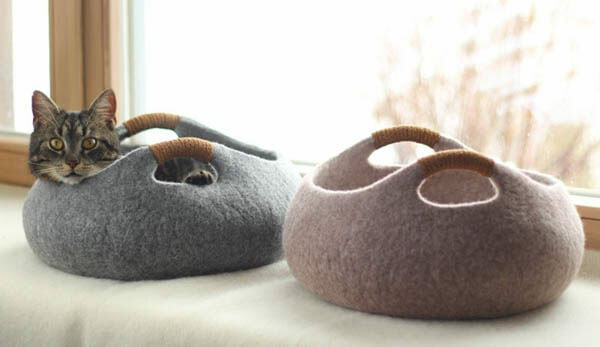 Although there is a saying that cat never like to sleep in the bed you purchased for them, you can’t stop the enthusiasm that industrial designer design them and cat owner buy them for their beloved cat. 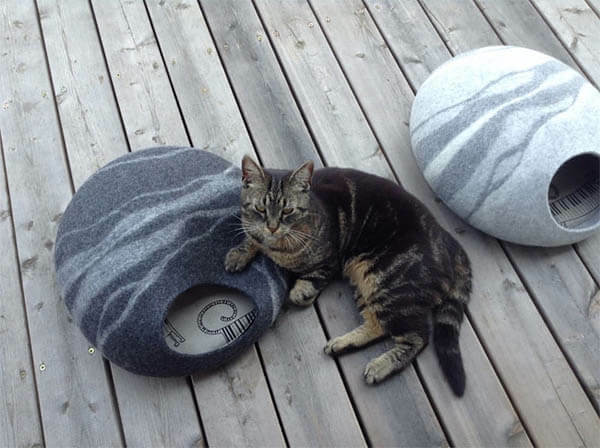 Like the etsy shop elevele, who made below cat bed / cave out of wool and designed them more like contemporary home decor pieces than pet accessories. 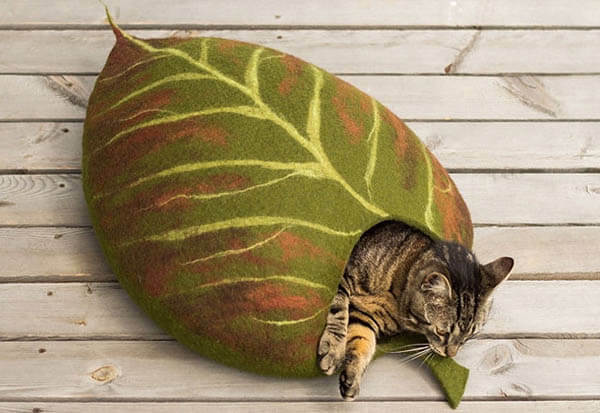 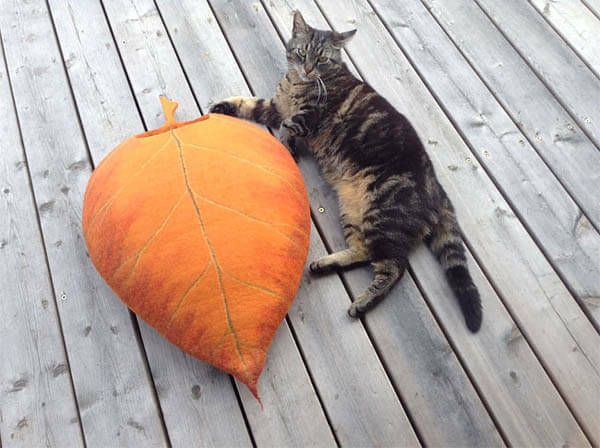 Especially the leave looking cave, probably they look like anything but a cat bed for you when you first see it. 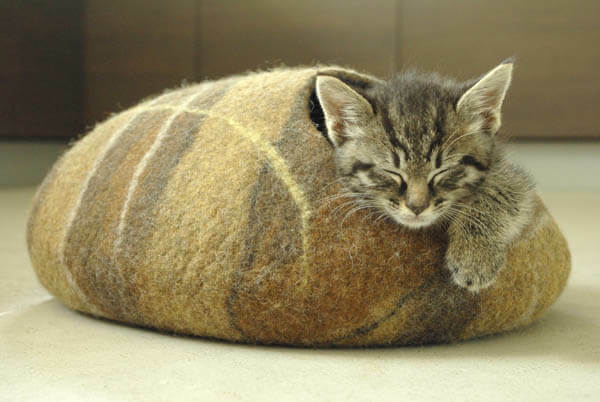 Not quite sure how comfortable cat find those beds are. 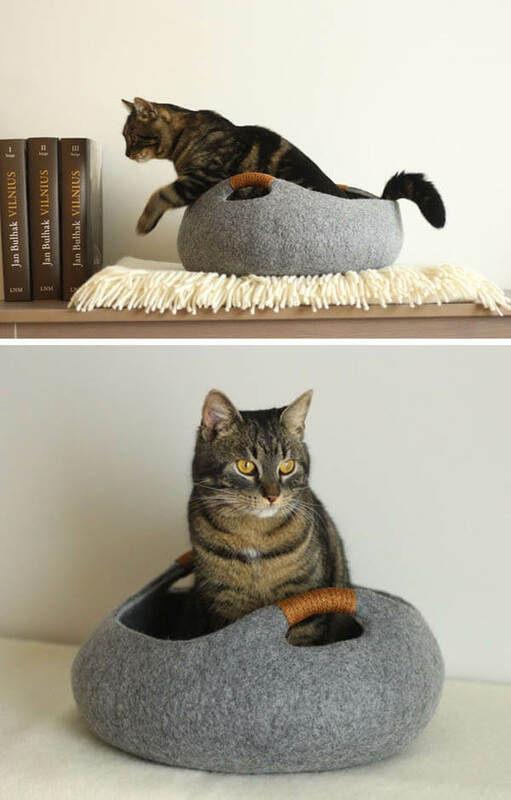 They seem pretty happy by looking at the photos. 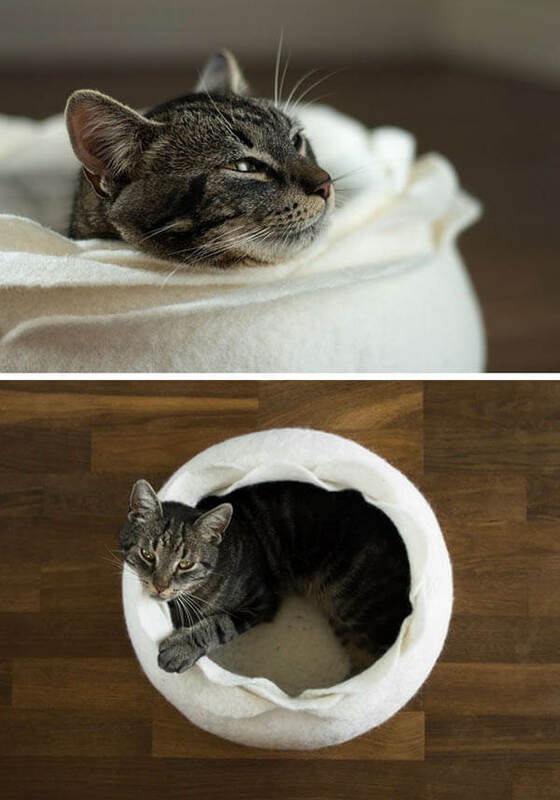 The price for a cat bed / cave varies from $75 to $115 depends on the design. 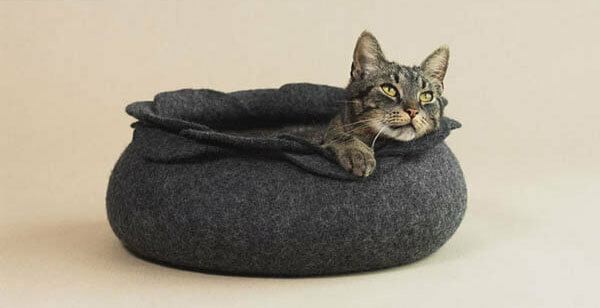 If you haven’t given up buying a perfect bed for your cat, maybe head over to the shop and take a look at those.